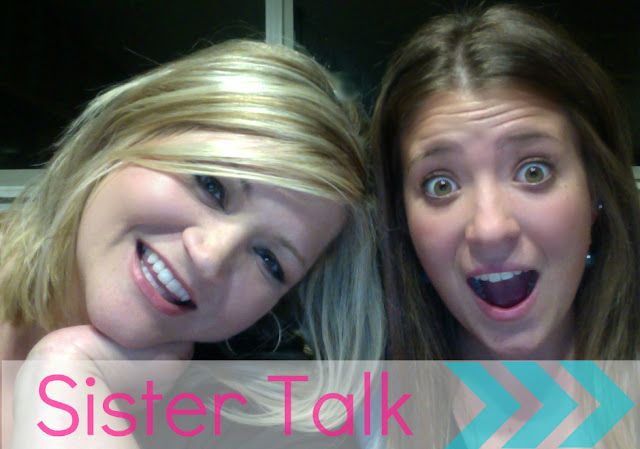 Introducing our very first vlog in a new series Sister Talk. Sister Talk is a new series that will be posted most Mondays. If you have a sister you know you argue and fight with them, but you also love and defend passionately their reputation. We (Dalayna and I) hope you enjoy this video. It may be a little long, but it's our first one and it's totally worth the time. Make sure to leave us a comment with topics that you'd like for us to discuss...or argue...or laugh about. We're ready to have a ton of fun. Are you? from Danette Dillon on Vimeo. This is too cute! I can't wait to see more! Stopping by from the Monday Madness link up:) I'm a new follower! I love meeting new Christian bloggers:) Keep up the good work! Yay! Glad to have you. I followed your blog too. Looking forward to getting to know you better. I so wish my sister would jump into the blogosphere - she's the one who persuaded me to do it, and I think she would be great at it. This is so cute! I bet you could talk your sister into it! This is going to be a lot of fun. Don't miss next Monday. Following back. I would love for you to come back next Monday for Sister Talk! oh this is such a good idea! you ladies look great! nice work. Aww, thank you. I hope you can come back next week! Your son is so cute. Thanks for following along and I hope to see you back again! Thank you. Hope to see you back next Monday. Those are great topics. I'm making a question holder today. I'll add those. I hope to see you back this Monday!